As big fans of Indian cuisine, we were happy to receive this list of 7 popular and famous Indian dishes from Rohit Agarwal, a fellow travel blogger. You are invited to share your thoughts about Indian food in the comment section. India is a democratic country situated in south Asia. One word that completely defines this place is ‘diverse’. From geographical variations to climatic conditions, from modernization to sustaining values, this country witnesses the mutual survival of more than 1.25 billion people communicating in over 720 dialects and practicing about 10 different religions. Such a simultaneous existence is indeed victorious! This contrast is very well depicted through the lifestyle of Indians: the clothes they wear, the languages they speak, the festivals they celebrate, the different modes of entertainment and definitely through their food. We begin with this famous dish right from the beautiful, serene valleys of Kashmir, Rogan josh is a lamb dish of Persian origin. The name is derived from Persian words, rogan meaning oil and josh meaning intense heat. Thus, this dish is cooked in oil at intense heat. Spices including asafetida (hing), cumin (zeera), cloves (laung), bay leaves (tej patta), fennel (sauf) and cardamom (elaichi) are added for flavor. It tastes best with boiled rice. Sounds yummy? Trust me, it is. Well, you can’t imagine India without this dish. It is eaten mostly during winters in the Punjab region of India and Pakistan. Makki ki roti is a bread made from corn flour and is baked on a tava (pan), whereas Sarson ka saag is prepared by first boiling and then grinding mustard leaves and spinach. It forms an indispensible part of the rural Indian diet. So, do you know the secret behind the strength and hard work of the Indian farmers? I just shared! Tunday kebab is a popular mutton dish from Lucknow. This kebab is very soft and dissolves in one’s mouth as soon as it enters. It is believed that over 150 spices including sandalwood, mint, and ginger and garlic paste are used to cook this particular kind of kebab. The richness of Nawabs (kings) of Lucknow is perfectly reflected in this delicious delicacy. You want to taste it too? Book your tickets mate! Hilsa Fish Curry is one of the prime fish curries eaten in Bengal. It is prepared for special occasions like feasts and festivals. The salted hilsa fish is sliced and fried with soybean oil and cooked with onion and garlic slices and ginger paste, turmeric and red chili powder. What is the best part? The hilsa fish can be preserved for over 2 years when layered with salt. So maybe, if you don’t feel like eating it right away, you can just save it for ‘more’ crucial times! Here enters the very famous fast food dish from ‘Aamchi Mumbai’, or the state of Maharashtra. The fried potato filling is put inside a bun along with spicy garlic, ginger, tamarind and mint paste. It is served with dry red chili powder and green chilies. Interestingly, this Indian dish surpasses the financial barriers of rich and poor as it is cherished by all! Hyderadi Biryani is a mouth-watering rice dish from the ‘pearl city’ of India, Hyderabad. It is a combination of Mughali and Iranian cuisine. The main ingredients consist of Basmati [rice], chicken, yogurt, spices, onion, lemon, coriander leaves and saffron. It is available with multiple variations, where chicken is replaced by other meat or even converted into a vegetarian biryani. The fanciest part is the large handi (vessel) covered with dough in which the biryani is prepared. Take my advice; treat yourself a Nizam and taste the heavenly biryani! What all south India gave us: Classical music and dance, crystal-clear beaches, a lot of humidity, Rajnikaant and masala dosa! Dosa is basically a fermented crepe made of a rice and lentil batter. It comes with a variety of filling, mainly potato, onion and can also be served plain. It tastes best with sambar, a vegetable stew made with tamarind, and coconut chutney. It is one finger-licking dish, my friend, literally! 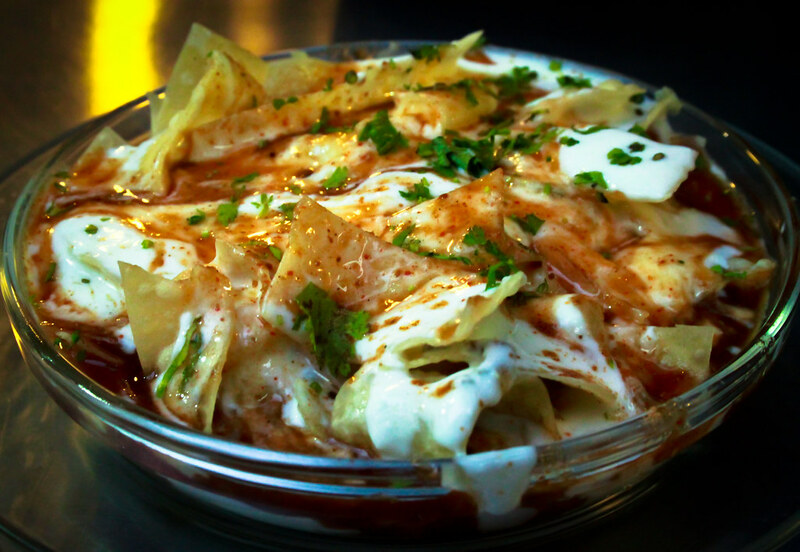 Not exactly a dish, but chaat is a term describing savory snacks, typically found in stalls and food carts in India. India can’t be imagined without its street food, which comprises of the gol gappas, tikki, pav-bhaaji, raj kachori, dhai bhalla, samosa, etc. … the list is never ending.Come to India and discover for yourself. You just can’t miss on it! Here is some more information to help you experience Indian food yourself. Save this pin to one of your Pinterest boards for future reference. Follow us on Pinterest for even more travel ideas. Rohit calls himself ‘a lost person’ and thus exploration is his way-out. He can’t compromise with his tastes and especially, taste buds. He lives in India and writes regularly on his blog, Trans India Travels. You can also find him sharing about India on Facebook, Twitter and Pinterest. Hey!! Great article. It has covered almost everything that one should try in India and nice work on briefing them. Thanks for the tip, Akahsha. I’m a sucker for good food and all of the dishes that you have listed here look amazing. Now of the ones you have listed here, I would love to try out the hilsa fish curry. To me, that is one that looks the most delicious and all of the ingredients sound like they’d mix well and give it a good taste. You’re a chef, Caden. We’d love to know if you’ve made it and how it turned out. Thanks for vouching for our story. 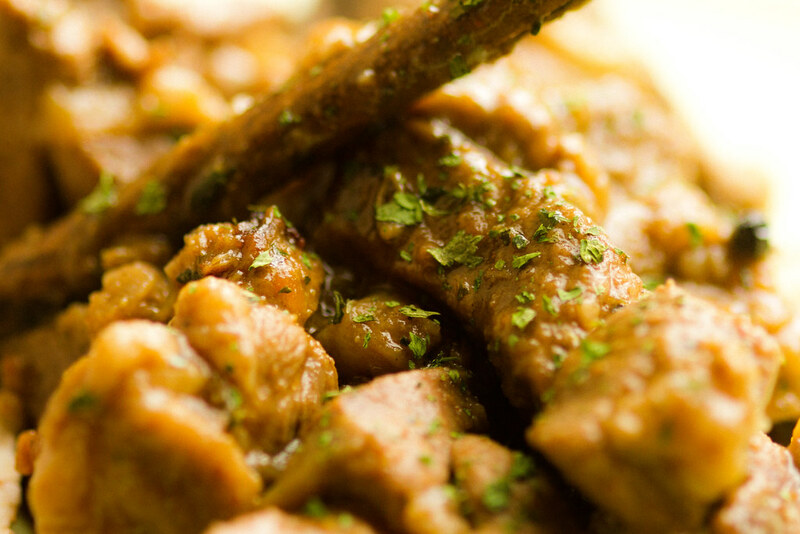 Indian food is so varied, there’s something to please every person’s taste. Aah Indian food, i really really miss it. You remember me Biryani :(. Other than that my most favorite are Nihari and Paye eating with Naan. You may also Dahi Bhalle same like chaat. The most i miss Garlic naan with White Qorma. There is so much to like about Indian food and we feel like we have just tasted a little of what the country has to offer. We would like to spend some time travelling among the country’s 29 states because we understand the cuisine differs in each one. Biryani and saag paneer are two of our favorite dishes, though Dan has been threatening to make a meal of gulab jamun. I live in a place where Indian cuisine is abundant and yet, the only Indian dish I’ve ever tried is buttered chicken. Shame on me. However, if you ever find yourself feeling a bit more adventurous at an Indian or Pakistani restaurant you may want to ask if they offer thali. It is a platter with small bowls of various dishes, with rice and naan bread. We think that’s an ideal way to sample a few different foods: So what if you don’t like one of them, just enjoy the others! Everything in here looks delicious! The bad thing is that I have not tried any of these dishes. Here in Los Angeles (and I assume that in others parts of the country), we are constrained to the same dishes in most Indian restaurants. Plus, they tone down the spices to satisfy the customers palate. I guess the restaurants cater to what the public knows and wants. I have been able to try different things in restaurants located in neighborhoods where there is a high density of Indian restaurants. But, I know the real Indian food is just another world. I hope I can travel one day to India and experience the real food there. That’s certainly the case as well in the Tampa area, Ruth. Same with most cuisines, I think. It makes good business sense to cater to customer needs, as you said. The best we can do is to eat at the restaurant where locals eat and to hope that a particularly friendly proprietor might be willing to prepare a different dish on request. And yes, we hope to experience India firsthand as well. I am not a great fan of Indian food. The flavors are too strong, especially curry. I’ve been invited to some of the best Indian restaurants in Los Angeles and San Francisco and while everybody else was drooling over their food, I was stuffing myself with bread. I felt really bad for the hosts, but you can’t argue about taste. I’m so sorry to hear that, Anda, though I can’t say I blame you. As a result of an “overdose” of curries as a girl (courtesy of a dinner hosted by my dad’s associate) I detested Indian food for decades. It is only in the past few years that I learned how varied Indian cuisine can be. Now I order the milder vegetarian dishes (cheese, spinach, lentils, etc.) and Dan goes straight for the intensely spicy-hot vindaloo. As you say, you can’t argue about taste. At least we both agree that they have some pretty fabulous desserts. I love spicy food. There is an India restaurant around the corner from me that I have been wanting to try. I might have to sample some of these dishes! Great idea – you might be able to sample a few at once if they offer a lunchtime buffet. We have discovered that a lot of Indian restaurants do that. Haha – we sometimes joke that Indian Food is one of the best reasons to visit England. Oh, that’s an idea! We will have to get some Indian food when we are back in England. In Scotland we didn’t see much other than traditional food. My sympathies; though Scottish food is pretty good anything can get tiresome. I’d imagine that it’s hard to find foreign food in smaller Scottish towns. I love sarson ki saag with makai ki roti, and also chaat, as Pakistani our food almost same with Indians. Thanks Rohit for sharing. Are there any foods that are special to Pakistan, Ashfaq? Yes Linda, there are many delicious foods in Pakistan. Right now i am in Indonesia and its hard to find our food in this area so i really miss it, specially the Nihari and Poori, I will write some time in detail about Pakistani Foods. I should have known better than to read this on an empty stomach. Now I am starving and craving…well, one of everything! I am still a stranger to Indian cuisine, but I have yet to meet a dish that wasn’t delicious – though some are just too spicy-hot for me. One of my resolutions this year is to find more Indian food, and also learn to cook a few dishes. I mean, beyond the basic vindaloo. 😉 Now, if you’ll excuse me, I’m running out for a Dosa. Mmmm…. Geez, vindaloo. No wonder you think Indian food is too spicy-hot, Rob; vindaloo is at the top of the scale! We have found that Indian restaurants in America are quite used to wimpy American tongues and are happy to customize the spice level to your taste. One of us always asks for a Level 5, while the other prefers food at about a 2 or 3. What level would you go for?